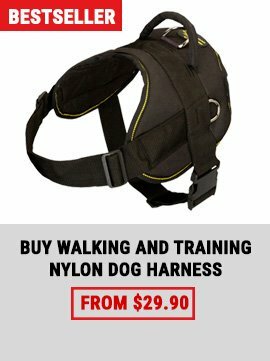 Searching for strong leash that can be fully reliable? Pay attention to this handcrafted leather dog leash decorated with braids! 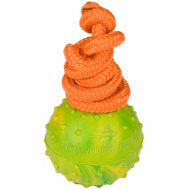 Braided leather accessory is a great decoration and at the same time excellent tool for dog control. It is strong and tear-resistant due to natural materials applied. Latigo leather is safe and eco-friendly. 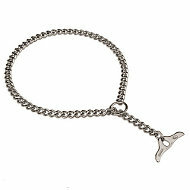 There is comfy handle which allows you to hold the leash firmly. 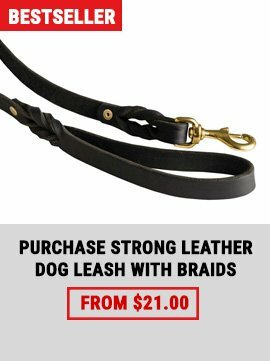 Buy this braided leather leash and walk with your German Shepherd safely. 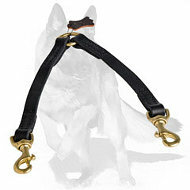 This Strong Leather Leash is perfect for walking and training with your beloved German Shepherd. It will also serve your pet as an elegant accessory. Beautiful braids adorn the leash and it looks very impressive. The braids are fixed with rivets for more reliability. 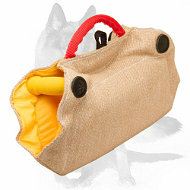 Natural leather is one of the best materials for producing dog accessories. It gives the gear natural strength, tear-resistance and durability. Such equipment will serve for ages and won't let you down. This item is handmade and stitched. It means that it is strong enough to stand hard pulling and tension. This leash has strong and rust-proof hardware. Golden-like fittings also decorate this accessory perfectly. 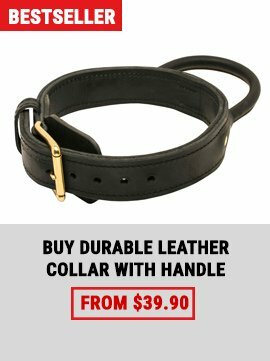 Don't forget to take care of this leather leash and it is going to be your favourite item for many years.